We can’t look forward into the future without sharing our new vision and mission statement. It may look quite straight forward, but much behind the scenes work went into it. It was built from the advice, knowledge, and experiences of FOTW and VMBA members and riders, FOTW board members, community partners and sponsors, and trail organizations and outdoor recreation professionals from outside of Vermont. -To make Chittenden County the best place to live and ride. -To provide mountain bike and multi-use trails for everyone in Chittenden County. -To advocate for mountain biking and sustainable trail-based recreation. -To invite the whole community to come outside. – Help create more trailheads and trail systems within riding distance from densely populated areas which are suitable for children, families and aMTB riders. 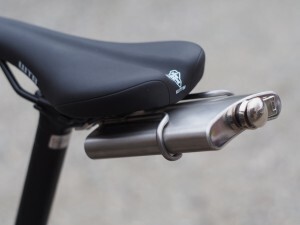 – Improve connectivity throughout all FOTW and adjacent trail networks. – Create space in programming and infrastructure that is inviting for all people of all identities, including but not limited to: families and children, people of color, women, new Americans, LGBTQIA communities, and people living with disabilities. – Maintain the nature and quality of trails that have been part of FOTW for a long time, and explore new options for one or more expert level downhill/enduro style trail with large optional technical trail features, eg. drops, gaps, very steep sections, and rock roll downs. Catamount Family Outdoor Center is now an VMBA “add-on”!!! VMBA add-on: Catamount Outdoor Family Center VMBA add-on includes mountain bike trail access and fat bike groomed trail access for the annual VMBA membership term. Otherwise, a day membership fee is required for biking. Head to over to the Fellowship “Join” page to sign on! With the new town-owned Catamount Community Forest, pedestrian use is now free, but biking requires a membership. Did you know that 1/3 of Catamount business is the summer camps and 1/3 of it’s XC skiing in the winter and 1/3 is summer memberships and races? It time to join or renew your membership for 2019! The 2019 membership stickers are here! This means mountain bike season is just around the corner, so become a member or renew now! We’ve got new benefits for 2019, including discounts at Burlington Physical Therapy and Yoga for Mountain Bikers & Cyclists w/ Lo Storer at Sangha Studio. And, a shout-out to Websticker in Stowe for these sweet stickers! The VT Trails and Greenways Council is working to coordinate a unified message to state leadership regarding Act 250 and its impact on trails, landowners and municipalities. In brief, Act 250 is land use and development law that has meant a lot to Vermont since its inception in 1970. We’ve learned a lot in 50 years and it’s time to evaluate how the law intersects with trails. It’s important that we send a clear massage that acknowledges the role Act 250 plays in keeping Vermont beautiful, but also encourages the commission to consider its application relative to landowners and trails going forward. Act 250 for many landowners is a deal breaker. Private land accounts for over 70% of Vermont – we need to actively advocate for our landowners – particularly if we are to realize our vision of connected networks. The Trails and Greenways Council will dig into the specifics of definitions, rules and regulations with the legislature. What we’re seeking from you is general support and input that highlights the positive role of trails in Vermont. The Agency of Natural Resources is hosting two more regional summits to gather input about about Act 250, including its impact on trails in Vermont. The Commission on Act 250: “The Next 50 Years” was established by the Vermont Legislature to work on modernizing Act 250. It’s very important that the Commission hear voices of the trails and outdoor recreation community during this process. VMBA and the Council fully supports the work of the Commission as conservation and environmental protection are core values for all of us. However, we are also concerned because Act 250 regulation can and has created confusion, expensive and time consuming obstacles to improving and maintaining your trails. It is critical that any potential reforms consider the irreplaceable benefits of Vermont trails. We must inform our legislators and state leadership charged with modernizing the law understand that support of the trails and volunteers is required at this time. Creating cumbersome and confusing obstacles for the landowners, towns, nonprofits and volunteers that create, build and maintain virtually all of the trail infrastructure for the public good will have tremendously negative impacts. Over 70% of our trails are hosted and maintained on private land and made possible through 100,000+ volunteer hours annually. We need to actively advocate for our private landowners and our visions of trail connectivity. The Fellowship of the Wheel is proud to announce a partnership with the Rock Point and Arms Forest Coalition. Our shared goal is the long-term conservation of an ecological treasure comprising Rock Point and Arms Forest on the Burlington waterfront. The Fellowship supports the ecological scoping study and community input process that will determine the future uses of these lands. Should the assessments determine that the Arms Park area is favorable for a multi-use trail system, our goal as a partner is to bring our experience in trail sustainability and land stewardship to the Arms Forest while making outdoor recreation accessible to more diverse groups of people, especially with regard to ability, age and location. Currently, the Arms Forest trail system is used by local residents for walking, running and biking, but there is no formalized public access and signage is minimal. In addition, there are rogue trails in need of re-routing or closure that currently infringe on some rare natural communities of plant and animal species. By utilizing sustainable trail practices and educational measures such as interpretive signage and mapping, the Fellowship aims to aid in the long-term stewardship, protection, and enjoyment of Arms Park. A possible outcome is that driving to a trailhead will no longer be a requirement to access multi-use trails for Burlington residents. This project will also benefit local businesses who may use this recreational asset as a draw for recruiting employees from outside the area, as it adds a valuable and much-needed recreational trail network to the city of Burlington. The Coalition is close to its goal of raising approximately $900,000 needed for the purchase of property, conservation easements, educational signage and upgraded trail infrastructure, but there is still approximately $40,000 more to raise for this project. Fortunately, we have an anonymous donor who will match dollar for dollar every new donation given to help us reach our goal! This is exciting news for all of us involved in this wonderful project, and will make our final push to the end of the campaign much easier. This project will benefit the current natural community of plants and animals that live within Arms Forest and Rock Point as well as the lives of those who live and work in Burlington by providing access to recreational and educational opportunities in an urban wilderness. Please consider a generous donation and take advantage of this wonderful opportunity to have your contribution doubled. To donate, visit the “Donate” link on http://www.parksfoundationburlington.org and select “Fellowship of the Wheel” when making a donation. Check out our new edit by Eight8 Creative of Adam Morse and Rosy Metcalfe riding Sheep Thrills! 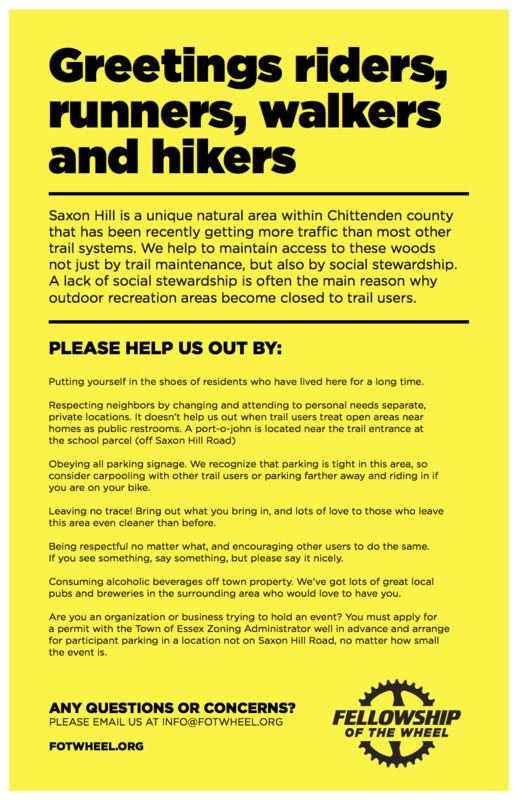 New signage at Saxon about Social Stewardship… please take a look! “The Town of Essex is considering making changes to our Firearms Discharge Ordinance. To obtain public input, we will be utilizing the services of PlaceSpeak (https://www.placespeak.com/en/topic/5771-discussion-of-the-firearms-ordinance-essex-vt/#/overview). With PlaceSpeak, you can provide feedback on perspectives about the use of firearms in multi-use areas, sports shooting, hunting, and more. You can also take a short survey and review some resources about this issue. We chose to use PlaceSpeak because it allows residents to meaningfully engage with others in a safe, secure, and privacy-respecting way. PlaceSpeak uses a unique geo-verification technology to ensure that only Essex residents are allowed to weigh in. The authentication process deters negative behavior such as trolling or spamming, facilitating a respectful environment for online dialogue and engagement. With privacy and data concerns at the forefront of people’s minds, PlaceSpeak ensures that users’ personal information is kept secure. As a Privacy by Design ambassador, privacy measures have been built into the very architecture of the platform. The information that is used to authenticate participants is never shared, sold or otherwise distributed – not even with the Town of Essex. -Information booth at Sand Hill Park – Thursday, June 21, 4 p.m. to 6 p.m., at 208 Sand Hill Road, Essex. Staff member(s) will be available to provide information, clarification, and updates about the process and online forum. -Information booth at Five Corners Farmers’ Market – Wednesday, June 27, 3 p.m. to 7:30 p.m., at 3 Main Street, Essex Junction. Staff member(s) will be available to provide information, clarification, and updates about the process and online forum. -Information booth at Essex Free Library – Saturday, July 14, 1 p.m. to 3 p.m., at 1 Browns River Road, Essex. Staff member(s) will be available to provide information, clarification, and updates about the process and online forum. -Public Forum – Thursday, July 19, 6:30 p.m. to 8:15 p.m., location TBD. An opportunity to reconvene in person before the online public comment forum closes. Participants will have a chance to review preliminary reports and trends resulting from the online engagement tools and share impressions of the public comment to-date. The public comment period on PlaceSpeak will officially close at midnight on July 22. 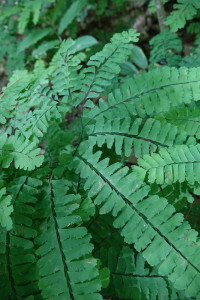 Self-guided site visits to areas that may be affected by any changes to the ordinance – generally speaking, Indian Brook Park, Saxon Hill Forest, and the north-central part of Essex – are being offered through July 22. Links to the site visits can be found here: https://www.essex.org/firearms. Please submit a cover letter and resume to fotwsponsorship@gmail.com by no later than Friday, March 2, 2018. 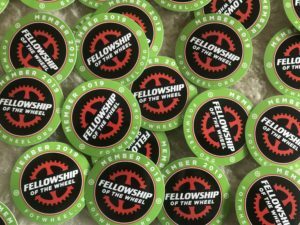 Fellowship of the Wheel is an Equal Opportunity Employer. Our local bike shops know us better than anybody. They know what we need, but more importantly they know what we want – usually before we do. So we asked them for their best gift ideas for mountain bikers and here’s what they think should be on our wishlists this year. As lights get better, short winter days grow weaker! 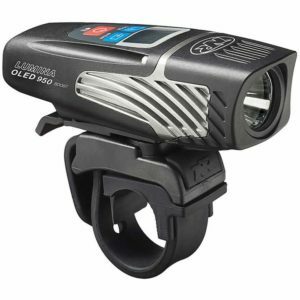 Stop by SkiRack and become a nocturnal ninja with this new light from NiteRider featuring a digital display showing battery percentage and blasting out nearly 1,000 lumens of day-making light. It’s always 5 o’clock underneath your saddle when you’re packing this Colorado made, stainless steel flask. The folks at Old Spokes Home have what you need to be the life of the trail party. 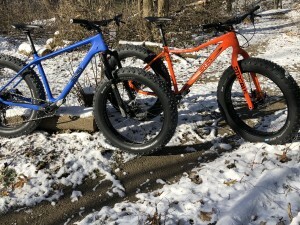 When your list is feeling a bit light, fatten it up with a visit to Earl’s Cyclery to demo a Borealis Fat Bike. You’d better have been nice to deserve one of these, but Earl’s will help you maintain some cred with a bad-as custom build. 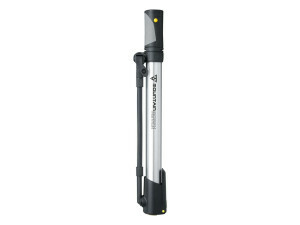 This packable pump features a pull-out foot platform and long, flexible hose so you’ll spend less time airing up, and more time airing it out. It makes a great upgrade to your current kit, or gift for the rider who’s still assembling one. Pick it up at OGE and grab a tube for good measure. Start the season by supporting your local trails and enjoy the perks of membership all year long. Riders will be notified via email of their gifted membership after January 1st and will receive their welcome packet in April. Literally the gift that keeps on giving, and gives back! Email Allison at VMBA for details on gift memberships.